A superior Arborvitae from the U.S. National Arboretum that will grow to 60′ or more in height, at the fantastic rate of up to 3′ a year! All this while keeping its glossy, green color in winter and maintaining a tight and uniform, conical shape. One tree makes an impressive specimen but many planted together will become a fast-growing, year-round, living screen or hedge. Widely adaptable to different soils and resistant to pests and diseases. No wonder 'Green Giant' won the Pennsylvania Horticultural Society's Gold Medal Plant Award in 1998. Although a small genus of 6 evergreen Conifers native to North America and East Asia, Thuja is important as a source of timber and ornamental trees and shrubs. You might know the weather-resistant wood of White Cedar (Thuja occidentalis) and Western Red Cedar (T. plicata) as the material of choice for fence posts, shingles, greenhouses, and other outdoor structures. A great number of varieties are available, selected for unusual form, color, texture, or growth rate, and are useful as specimen trees or in hedges, or in the case of dwarf forms, in rock gardens and foundation plantings. Grow in average to moist, well-drained soil. 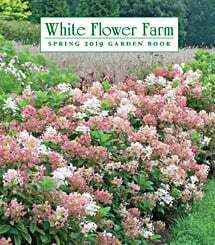 We have known of White Flower Farm's reputation for 20 yrs but never got around to ordering from them. Shame on us! We just received 6 GG and they were twice the size of GG ordered online in the past from another source and in pristine condition (keep in mind, those other poor specimens were particularly puny and just slapped haphazardly in a box to bump around for days). WFF sent them in perfectly designed packages with no excess materials. I think the small size of the plant in the sample photo below the main picture (Yankee modesty, I suppose) dissuaded us from ordering. Again we have learned the lesson (once ought to have been enough) that quality and reputation are worth every penny. Thank you, White Flower Farm. I have been planting "green giant" three at a time along my property line for the past six years. The three six year old trees are now well over 20' tall and look wonderful. They have been entirely maintenance free and never make a mess. I'm in Maryland and our record breaking snow didn't cause "green giant" any trouble at all, unlike my thuja "steeplechase", which was flat on the ground. Green giant is not terribly full at the top but the bottom third is very dense and if it gets to be 60' tall, no one will be able to see the top anyway. I can't imagine anything better for a fast-growing, good looking hedge. Although a small genus of evergreen Conifers native to North America and East Asia, Thuja is important as a source of timber and ornamental trees and shrubs. A great number of varieties are available, selected for unusual form, color, texture, or growth rate, and are useful as specimen trees or in hedges. Soil: Prefers average to moist, well-drained soil. Watering: The key to getting your new shrub or tree off to a good start is moisture. Water thoroughly after planting, and keep a close eye on the plant over the following week. Then, give it a good soaking once a week during summer, unless rainfall is plentiful (more than 1″ per week). Established plants can generally get by on less water, but most grow best if the soil remains evenly moist. Fertilizer: We recommend against fertilizing at planting time and during the first growing season in your garden. Plants need time to settle in before being pushed to grow. Most established plants grow best if fertilized with a light hand. Here at the Farm, we fertilize our specimen trees just once—in early spring—with a light but even coverage of a balanced, granular fertilizer. Pruning: Prune in late winter or early spring to remove any browned growth. Heavy pruning is seldom needed.